Cambridge Audio CXA60 60W Integrated Amplifier. What Hi-Fi?’s ‘Best Stereo Amplifier’ two years running is hugely entertaining. With those 60 watts of power comes 4 analogue, 3 digital and optional Bluetooth inputs so your connectivity is sorted too. 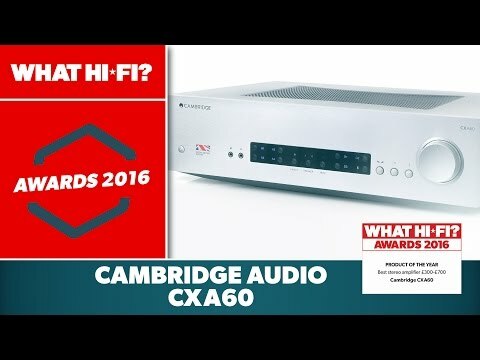 Designing the CXA60 was a challenge that was accepted with open arms by Cambridge Audio engineers. They wanted an amp that sounded more musical and energetic than anything they’ve made before. They sweated away for months and after some particularly late nights until they eventually nailed it. To achieve this they used some unique engineering techniques, some very premium components, and some great ears for detail.